What perseverance looks like? 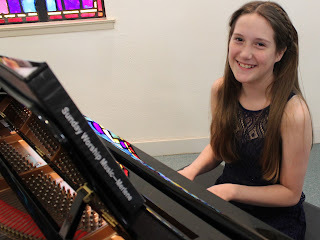 Starting piano lessons this fall, my girl learned to read music and began logging hours of practice. Things were playing along smoothly until the headaches started leading her to miss weeks of practice. And after a tag fall, she fractured her collarbone and was out another 10 weeks. But back to the keys she went and was able to perform her first recital. It's these moments that makes parenting so memorable. Fourteen year old, Kosei, is drawn to the piano but an abusive past holds him back. But after meeting rogue violinist, Kaori, he is able to experience music again. A musical story of a first love and true friendships that will tug at your heart. For ages 11 and older. 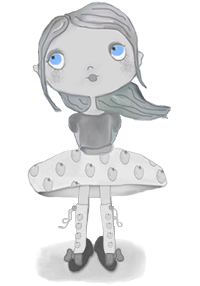 Ginko, the main character wanders from place to place helping those affected by mythical parasitic creatures called mushi. The artwork is exquisite and each chapter is its own separate story. For ages 11 and older. The paperbacks are expensive so we are reading the EBooks. This has become my new muse and sets me in writing mode.